Are you looking for an outing that combines gorgeous rolling hills and sips of wine along the way? 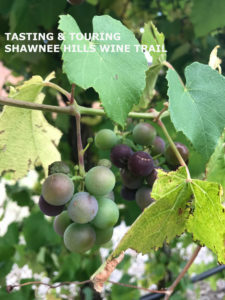 Head to southern Illinois for a trip on the Shawnee Hills Wine Trail, which includes 11 wineries nestled in the shadows of the beautiful Shawnee National Forest. Plan to spend several days to enjoy the tour—staying overnight at one of the delightful B&B’s in the area, of course! Begun in 1995 with a humble three wineries, the 40-mile Shawnee Hills Wine Trail was the first wine trail in Illinois and is still a premier one, boasting award-winning wines and hours of delightful touring and tasting. The original wineries include Alto Vineyards, Pomona Winery, and Owl Creek Vineyard. Today eight other wineries round out the list: Von Jakob Vineyards & Brewery, Hedman Vineyards, Blue Sky Vineyards, StarView Vineyards, Kite Hill Vineyards (featured in our September blog) Honker Hill Winery, Orlandini Vineyard, and Hickory Ridge Vineyard & Winery. The wineries offer a range of experiences. Most have tours and tasting rooms where you can sample a variety of wines. In addition, several have cafes, so you can enjoy a nibble with a glass of wine to go with it. And throughout the year, you can enjoy music, painting and wine afternoons, and other delightful events at the individual wineries. Check the Wine Trail website for a downloadable map, as well as an online calendar that lists upcoming events at the individual wineries. The Shawnee Hill Wine Trail also sponsors events during the year, such as the upcoming Autumn Inspirations in November. This progressive wine and food tasting is designed to celebrate the fall harvest, and will showcase savory autumn dishes paired with wines at each of the participating wineries. Ticket price includes one dish and wine at each winery, a Shawnee Hills Wine Trail wine glass, and entry into a prize drawing. Saturday, 11:00 a.m. – 5:00 p.m.
Sunday, 12:30 p.m. – 5:00 p..
For those touring the Shawnee Hills Wine Trail, there are two great B&B’s to check out—and check into—in the area. You’ll find a peaceful country setting at the Stablehouse in Alto Pass. 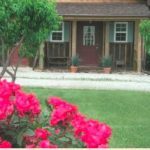 Located on a beautiful 75-acre farm, the western-themed two-bedroom guest rental sleeps up to seven people and has a full kitchen, plus plenty of places for relaxing, including a front porch and back outdoor patio. Country Schemes Bed and Breakfast offers peace and relaxation on a third-generation centennial farm outside of Vienna. It has three guest rooms—two with private baths. These B&B’s, as well as Kite Hill Vineyards mentioned above, are members of the Illinois Bed and Breakfast Association … a unique lodging experience! 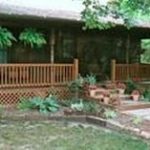 This entry was posted in Food and wine, Illinois Bed and Breakfasts, Wineries and Breweries and tagged Festivals and events, Illinois Bed & Breakfasts, outdoor activities, Wine trail by admin. Bookmark the permalink.